In addition to gearing up for his first tour, Bill Murray’s announced plans to expand his family’s restaurant empire. According to Rolling Stone, Murray and his brothers are bringing their Caddyshack-inspired chain to their old stomping grounds in Illinois. The Murrays grew up in suburban Wilmette, but will set up pro shop-themed eatery in Rosemont, which is much closer to Chicago anyway (seriously, you can take the Blue Line there). Just like the 1980 sports comedy, the Caddyshack restaurants are a family golfing affair, Andy Murray says: “We wanted to create a restaurant that captures our family’s love for the game and present it in a way that appeals to everyday golfers and families.” He and his brothers opened the first Caddyshack restaurant at the World Golf Village in Florida about 16 years ago. Both locations have a casual dining vibe and sports-friendly bar, as well as a golf simulation experience, in keeping with the theme. 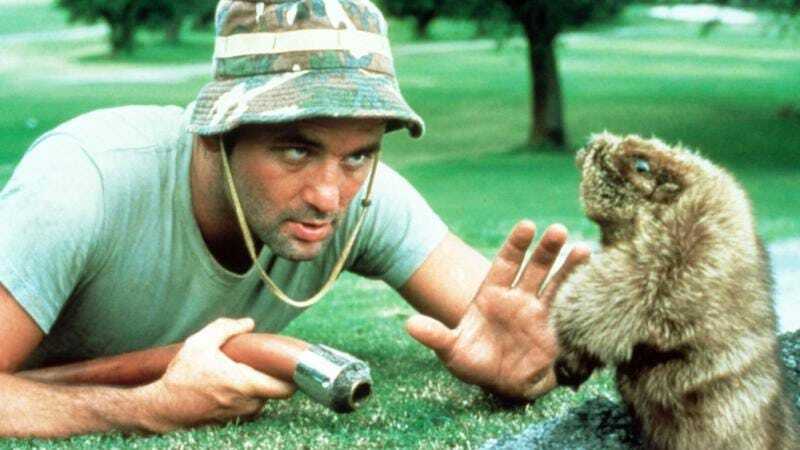 The Rosemont Caddyshack will be located in the Crowne Plaza Hotel, and is due to open in December. There’s no word on whether any particular type of hat will get you a free bowl of soup, though.